We have an overview of the odds on all major betting markets of Bet365. We have done this by collecting tens of thousands of different Bet365 odds over a long period of time. Odds were collected at all days of the week and also with the match in-play (LIVE). We have done this by collecting tens of thousands of different Bet365 odds over a long period of time. Odds were collected at all days of the week and also with the match in-play (LIVE). Using this vast amount of empirical data, we determined how the odds of Bet365 compare to the average of the market (over 30 other major bookmakers). We have done so by calculating the average payout percentages (or “average payout” or “payout percentages”). If for example, the average payout equals 95%, this implies that on average £95 is paid by the bookmaker to the bettor, for every £100 that is wagered. Hence £5 (or 5 percent) is kept by the bookmaker, which is also referred to as the “betting margin” or the “profit margin of the bookmaker”. Needless to say that, the higher the average payout, the better the odds are. How can this Bet365 odds analysis help you? Whether you like to bet on UK Football, Darts, Tennis or International Football, better odds will mean better results in the long run. You will lose less and win more. It is as simple as that. Choosing the right bookmaker for certain markets makes a huge difference that should not be underestimated. A bookmaker that gives odds that are 1% or 2% higher than other bookmakers, can make the difference between ending your year in a plus or in the negative. Something to also consider is that there are huge differences to be found in the odds when looking at when you should place your bet. Knowing what the optimum moment to bet is at every bookie, gives you a huge advantage compared to other punters. Knowing when to place a bet can have an enormous positive impact on your overall results. The summary below shows the average odds of the major sports markets, which is further described below. Bet365 has better than average odds for the major UK football leagues. Odds are very attractive when you bet 1 day before the match or on matchday. These excellent odds are provided for the English Premier League but also for the English Championship, the English League 1 and the English League 2. 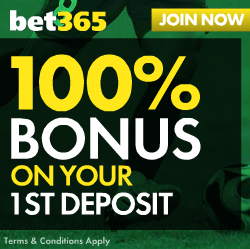 If you bet frequently in these competitions, Bet365 is the best bookmaker for you. LIVE betting odds are average: with an average payout percentage 94%. The odds for the major European competitions are slightly below average, with average payout percentages around 94%-95%. Odds for the Champions League are very attractive and up to an average payout of 98% on matchday. The odds of Bet365 for the 2nd tier European competitions are slightly below average, with average payout percentages of around 94% and hence slightly lower than for the major European competitions. Bet365 offers excellent odds for Asian Handicap betting in the Premier League, Champions League and some of the major European competitions. The tennis odds offered by Bet365 are unfortunately not at the higher end of the market. This is an area where we believe Bet365 could do better. The LIVE tennis odds of Bet365 are relatively better. Rugby Union (6 nations) odds of Bet365 are much better than average. If you bet on matchday, Bet365 offers odds with average payout percentages close to 96%. The days before the match starts, the odds offered are with average payout percentages close to 94%, but these are still much better than average (around 92%). We strongly recommend Bet365 to Rugby punters. The odds for Snooker and Darts provided by Bet365 are better than average. Bet365 actually offers odds close with average payout percentages close to 95% for Snooker and almost 96% for Darts. The odds of Bet365 are in the higher end of the market and are very attractive for UK football competitions. We see that the odds of the Champions League and the Europa League are also very attractive. For major European soccer competitions, Bet365 offers odds of with a payout ratio of around 95% and these are around average, compared to the rest of the market. LIVE betting is average: LIVE odds generate a payout ratio of around 94% for all Football competitions. 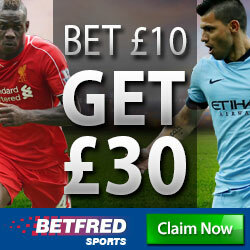 Special football bets are offered by Bet365, and odds offered are very reasonable, but not spectacular. For Snooker but in particular for Darts, bet365 offers better odds than average. For Rugby Union, the odds offered by Bet365 are at the higher end of the market.